The Office of the Legal Adviser provides guidance as needed on all legal aspects of the ILO’s development cooperation activities. To this end, it reviews and comments on framework and voluntary funding arrangements with a broad range of partners, including member States, international organizations, international financial institutions, private and non-State actors. It also assists various coordinating units with the implementation of agreements and related contract management issues. 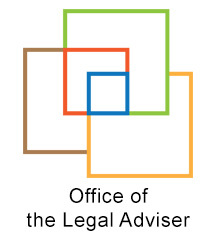 The Office of the Legal Adviser reviews and provides guidance on all legal aspects of proposed arrangements with member States, international organizations, international financial institutions and other donors. These arrangements are intended either to establish cooperation frameworks or to provide voluntary funding with a view to the ILO implementing activities. The review and clearance of development cooperation project document activities is coordinated by the Partnerships and Field Support Department (PARDEV) which liaises with the relevant units in accordance with the Office Directive No. 156, as well as the Development Cooperation Internal Governance Manual. To facilitate collaboration, model agreements are available, including a Funds-in-Trust Agreement. The Office of the Legal Adviser reviews Public-private partnerships (PPPs), which are defined as “a voluntary and collaborative relationship between the ILO and one or more partners, including private and non-state actors, for the purpose of carrying out cooperative activities of mutual interest.” PPPs are initially screened by PARDEV (Director-General’s Announcement No. 81 and Office Procedure No. 83) while a model agreement has been drawn up with a view to promoting a coherent methodology. Other templates, such as implementation and grant (Office Procedures No. 270 and No. 430) facilitate delivery and project management.